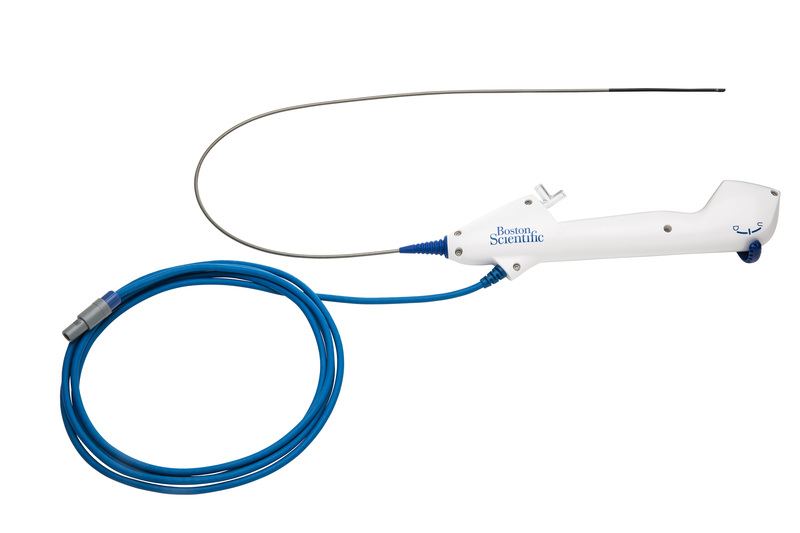 Seamless navigation: Full 270˚ scope deflection in both directions provides accurate navigation toward the targeted treatment area. 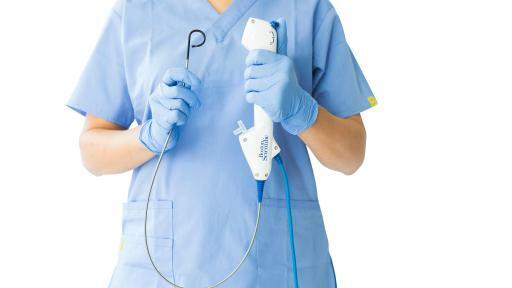 All-in-one solution: The LithoVue workstation monitor with integrated image processing software is mounted on a compact, rolling mobile cart which can be used alone during a ureteroscopic procedure or connected to existing monitors and integrated video systems in the operating room suite. 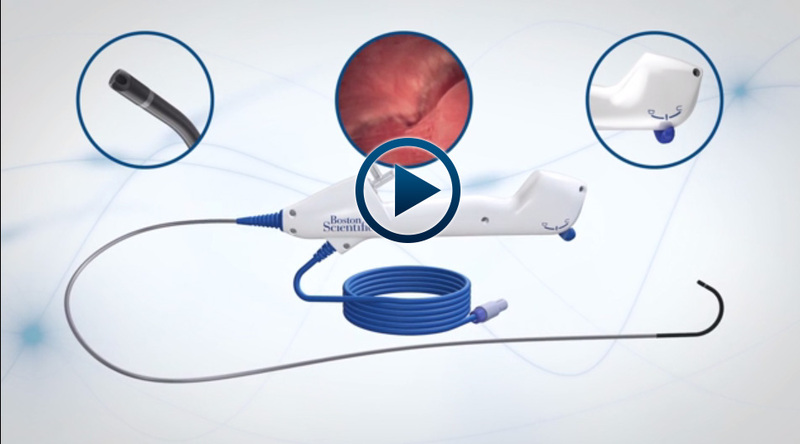 The LithoVue System is now available in the U.S., Europe and New Zealand. For more product and important safety information, please visit: www.bostonscientific.com/lithovue. Or follow Boston Scientific Urology and Pelvic Health on Twitter at @bsc_urology. This press release contains forward-looking statements within the meaning of Section 27A of the Securities Act of 1933 and Section 21E of the Securities Exchange Act of 1934. Forward-looking statements may be identified by words like “anticipate,” “expect,” “project,” “believe,” “plan,” “estimate,” “intend” and similar words. These forward-looking statements are based on our beliefs, assumptions and estimates using information available to us at the time and are not intended to be guarantees of future events or performance. These forward-looking statements include, among other things, statements regarding our product launches and product performance and impact. If our underlying assumptions turn out to be incorrect, or if certain risks or uncertainties materialize, actual results could vary materially from the expectations and projections expressed or implied by our forward-looking statements. These factors, in some cases, have affected and in the future (together with other factors) could affect our ability to implement our business strategy and may cause actual results to differ materially from those contemplated by the statements expressed in this press release. As a result, readers are cautioned not to place undue reliance on any of our forward-looking statements. Mues AC, Knudsen BE. Evaluation of 24 holmium: YAG laser optical fibers for flexible ureteroscopy. J Urol. 2009;182: 348-54. Carey RI, Gomez CS, Maurici G, et al. Frequency of ureteroscope damage seen at a tertiary care center. J Urol. 2006;176:607-10. Collins JW, Keeley FX, Timoney A. 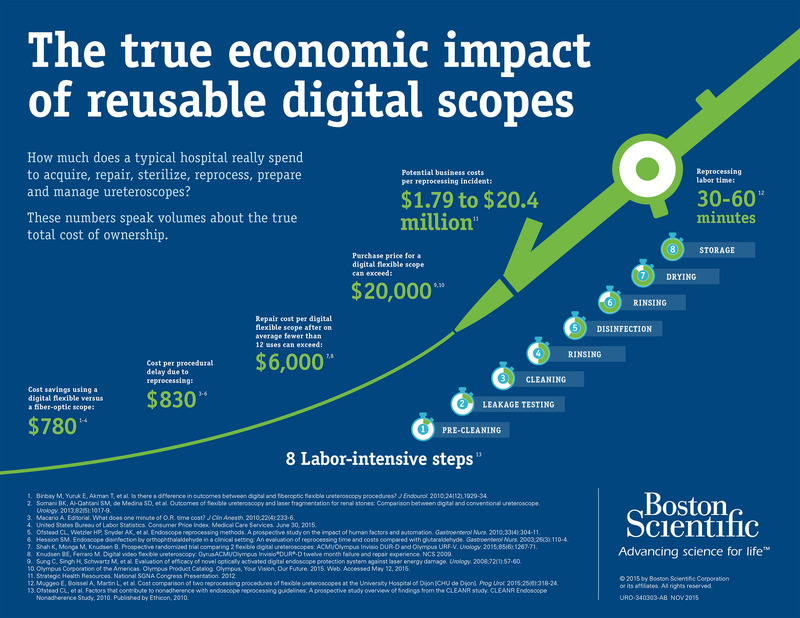 Cost analysis of flexible ureterorenoscopy. Br J Urol. 2004;93(7):1023-6. Carey RI, Martin CJ, Knego JR. Prospective evaluation of refurbished flexible ureteroscope durability seen in a large public tertiary care center with multiple surgeons. Urology. 2014;84:42-5. Shah K, Monga M, Knudsen B. 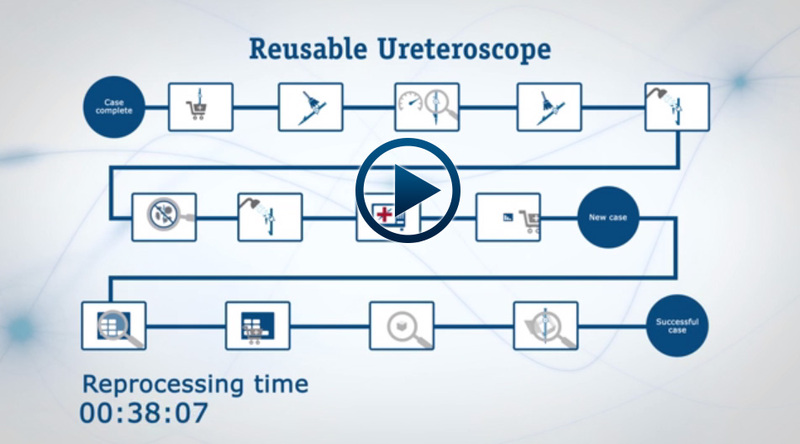 Prospective randomized trial comparing 2 flexible digital ureteroscopes: ACMI/Olympus Invisio DUR-D and Olympus URF-V. Urology. 2015;85(6):1267-71. Knudsen BE, Ferraro M. Digital video flexible ureteroscopy: GyrusACMI/Olympus Invisio®DUR®-D twelve month failure and repair experience. NCS 2009. Knudsen B, Miyaoka R, Shah K, et al. 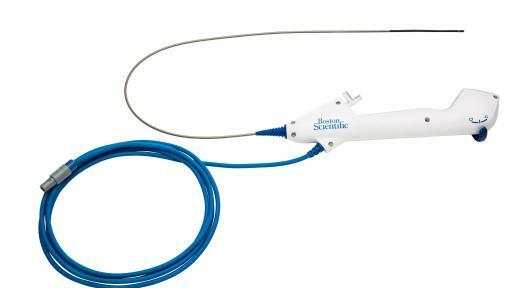 Durability of the next-generation flexible fiberoptic ureteroscopes: A randomized prospective multi-institutional clinical trial. Urology. 2010;75:534-9. Macario A. Editorial. 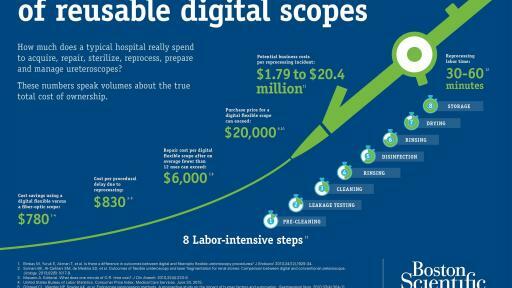 What does one minute of operating room time cost? J Clin Anesth. 2010;22:233-6. United States Bureau of Labor Statistics. Consumer Price Index. Medical Care Services. June 30, 2015. Hession SM. Endoscope disinfection by orthophthalaldehyde in a clinical setting: An evaluation of reprocessing time and costs compared with glutaraldehyde. Gastroenterol Nurs. 2003;26(3):110-4. Value Vantage. Day-in-the-Life Research, May 2014. Eisner B. 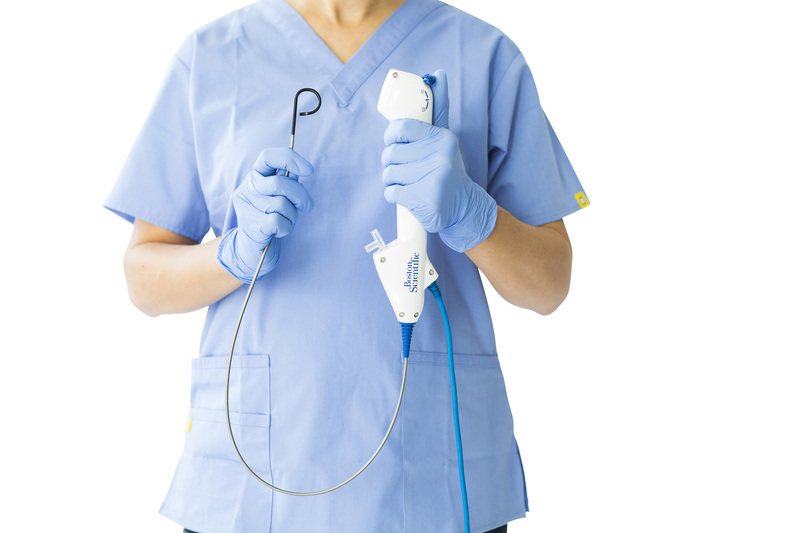 Evaluating the image quality of a novel single-use digital flexible ureteroscope. J Endourol. 2015;29(1):A348.